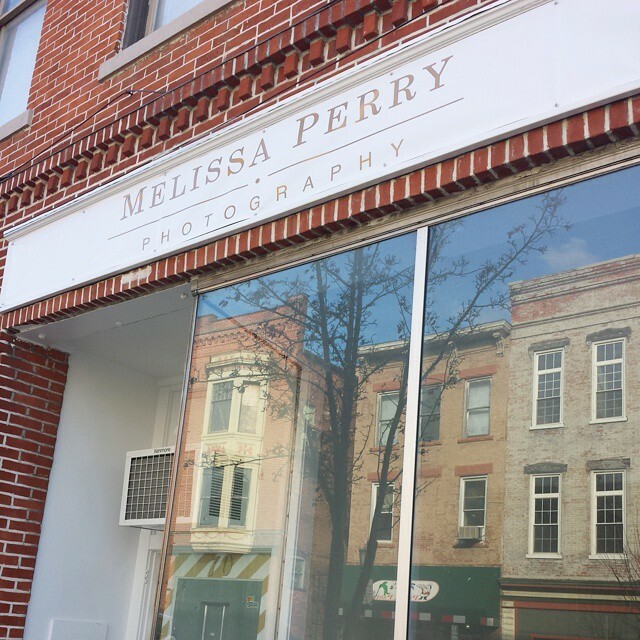 TIFFIN, OHIO – January 19, 2015 – Melissa Perry Photography has made it public that they will be opening a new downtown studio at 70 E. Market Street. The lease was signed towards the end of last year, renovations are fully underway, and the business expects to open its new location within a month. An Ohio native, Melissa Perry started her custom photography business six years ago, and the company has grown to the point of needing a storefront studio. After identifying the renovated 1854 Laird Arcade as her preferred location, she applied for a downtown Façade Enhancement Grant to assist with exterior improvements and was approved last month. Other businesses to open in the Laird within the last year include Gem Yoga & Life Enrichment, Burrito Loco, the Beehive Café, law firm Fraser Clemens, Knights of Columbus Insurance, Z Pulse Studios, and Level Up. Founded in 2008, Melissa Perry Photography is a high-end, full-service photography studio specializing in custom photography for various occasions, including weddings, family pictures, and senior portraits. Melissa also photographs lifestyle sessions and seeks to provide her clients with a unique and memorable experience that is unlike anything else you can find locally. She has worked hard to bring a luxe and exclusive feel not only to her photo sessions, but also to the studio which will house photo shoots, client meetings and many other exciting events. Find additional information at www.melissaperryphotography.com. Started in 1983, the Seneca Industrial and Economic Development Corp. (SIEDC) is a private, non-profit corporation dedicated to driving positive economic, downtown, and community development in Tiffin and Seneca County, Ohio. In 2012, the community was ranked in the top 5 percent nationally for economic development, and last year, it was recognized as one of the top ten communities out of 600 micropolitans in the US. Learn more about the great things going on at the company’s blog at www.senecasuccess.com.